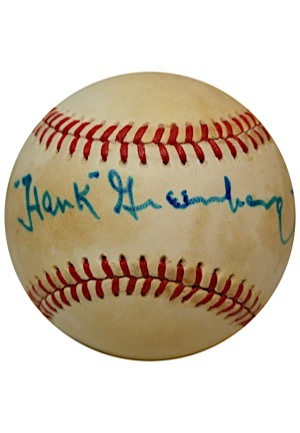 Rawlings manufactured OAL MacPhail baseball single-signed by Hank Greenberg. 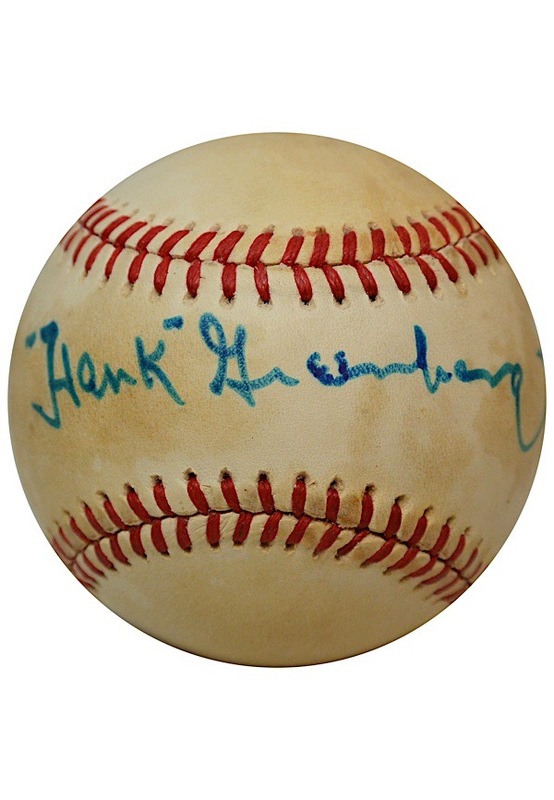 Greenberg signed on the sweet spot in blue ink and in our opinion the signature rates a 7. Spotting and staining is seen throughout the baseball and the stamp is faded. G-VG condition. Accompanied by a LOA from JSA.